Three clean-cut, well-mannered boys form a band in Milwaukee, Wisconsin. They start boozin’, smokin’, and getting their hearts broken. 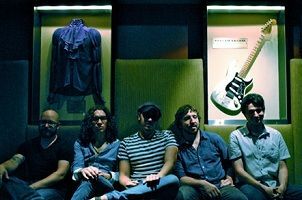 The sounds that emit from their escapades keep getting better; bolstered by frequent shows at Milwaukee’s Up & Under Pub. 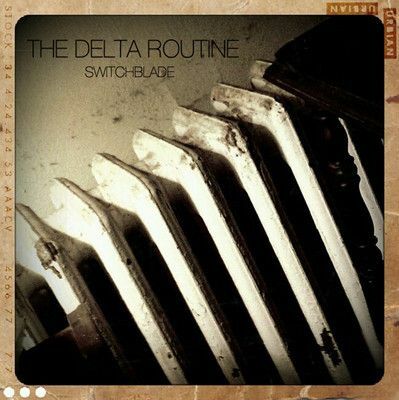 By the time The Delta Routine put out a third album, Cigarettes and Caffeine Nightmares, they’re getting more widely known for gritty, blues-based garage rock. And they’ve morphed from the original trio into a five-piece: Nick Amadeus (lead vox/rhythm guitar), Victor Buell (lead guitar), Evan Paydon (bass), Kyle Ciske (drums), and Al Kraemer (keyboards). All the better to blow your house down. I like that story. The part about the original trio being clean-cut is just a cliche, based on general experiences of nice Midwesterners who’ve migrated to California. It can be disregarded. Although my favorite album track is “I Don’t Wanna Let You Down,” the album’s first single is “Switchblade.” Victor Buell’s getting the same tone Keith Richards had circa two of my early Stones faves, “Rock ‘n’ Rolling Stones” and “No Stone Unturned”. Not too shabby.